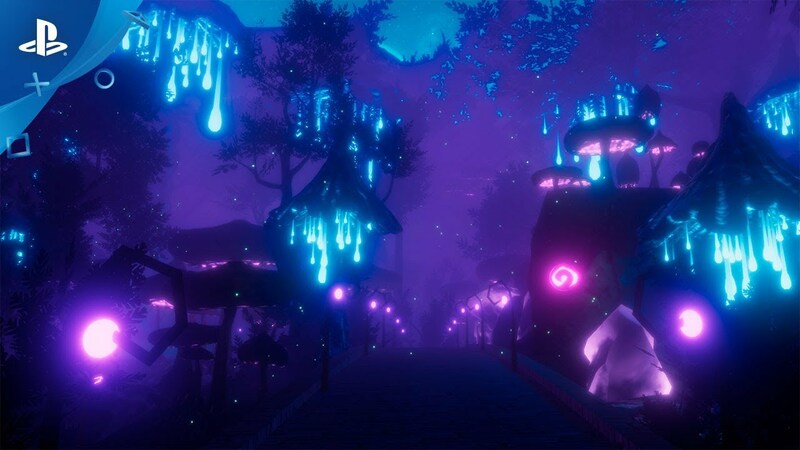 Mind Labyrinth VR Dreams is an emotional journey through your alternative world in dream-like environments and atmospheres. Every Dream is an Emotion, Every Mind is a Labyrinth, Explore it! Explore different kinds of mental states and find your emotional balance while delighting yourself with the great soundtrack, featuring music by Hollywood Oscar™-winning composers and selections of the best international artists. Mind Labyrinth VR Dreams is your personal VR world where you can choose whatever emotion you prefer to live with at that moment. Every scene comes with its individual set of default gorgeous music that best fits the environment you are in - you're also free to choose tracks from the entire collection to ensure you feel different emotions every time. You can also look for a special shelter and isolate yourself in a magical and safe environment to meditate. Search for the bright spheres of opportunities, collect them all and you will have access to a new heavenly environment and features that are continuously being updated with DLC. Studied by a team of experts in psychology of perception, this VR product has the primary purpose of relaxing and generating positive emotions. Unique sensations that the player reaches through the interaction with dreamlike environments and a unique soundtrack of the highest-quality level. Mind Labyrinth VR Dreams is an alternative world where you can live and relax for hours at any time of day or night, leaving your tensions and problems of life outside. This type of experience can only be proven thanks to the total immersion of virtual reality, the main reason why the title was conceived 100% for the PS VR headset. Through this journey, the player will also be able to find different runes. With the press of a button and aiming them, he'll be able to reveal inspiring phrases and quotes and it will be interesting to find all the runes hidden in each scene. Runes aren't the only thing placed in every scene, though. After a random time, in every scene will spawn what we call an “opportunity.” The opportunity is a glowing sphere the player will need to find and collect, and if he'll be able to find all the 10 opportunities, he'll be able to unlock the last level, which is some kind of Paradise that the less-meticulous players will not be able to access. To improve the level and quality of immersion, the game also has different interactable objects, so motion controllers will not be wasted. The player will be able to physically press buttons to open gates, open chests to find out what's inside, light fireworks with a candle or even pick up a statue and put it on the right spot to open an hidden cave.